Wholesale home decor, wholesale home d�cor accessories, and the best in wholesale decor from Eastwind Wholesale Gift Distributors! Stock up and save on the latest in wholesale home accents, traditional home decor, western d�cor, and home decor wholesale products at Eastwind Wholesale Gift Distributors. 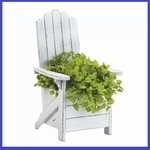 Wholesale home d�cor, wholesale home accessories, wholesale gifts, and a whole lot more with EastwindGifts.com! E-Commerce Stores Free Dropshipping Service! Eastwind Wholesale Gift Distributors is committed to supplying you quality wholesale gifts to add to your online inventory cost free. Use Dropshipping to instantly expand your inventory without a financial investment. Find out more about Free Dropshipping. Agents and Event Planners Exclusive Wholesale Gifts and Wholesale Home Decorating Deals! Looking for unique wholesale gifts? Need to know availability of our wholesale home decor accessories? We're here to help! Please contact us for assistance.